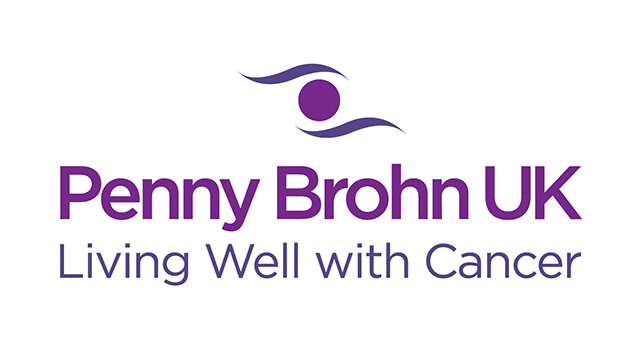 Expert in the integrated approach to cancer, the award-winning Bristol Cancer Help Centre (now rebranded as Penny Brohn Cancer Care) has helped thousands of people decide which treatments and therapies are best for them. Here three of them, Janis Dear, Robert Ross and Nicky Jones tell their stories. Mother-of-five Janis Dear, from Kent. was diagnosed with breast cancer in March 2002, 18 months after first noticing a lump under her arm. Thinking it was a pulled muscle, she carried on with her busy life even though she noticed a dimpling effect on her breast. It was only when she started having nose bleeds, panic attacks and vomiting in the middle of the night, that she dragged herself along to her GP to find that she had three lumps - two in the breast and one under her arm. When told she should start taking Tamoxifen immediately, and have a mastectomy in a couple of days. Janis refused and went home to read up all about breast cancer. "I hadn’t really been to a doctor since having the children, and I wanted to see what I could do to help myself. I felt very alone at that stage, because I’d told everyone I wasn’t having treatment, and people were shocked and concerned the cancer would get worse. But when a friend asked if I’d been in touch with the Bristol Cancer Help Centre, I read up about them and felt wonderful. They were saying everything that I felt instinctively. I learnt so much when I went along to Bristol, but the best thing was all the dietary information. Their nutritionist explained about individual foodstuffs and how they act in your body, which I hadn’t really thought about. I’d been a vegetarian for about six years, and thought I had a healthy diet but was eating quite a lot of cheese. My biggest shock was learning that dairy products weren’t healthy. I’d been brought up to think that we needed them for strong bones and teeth, and was teaching my children the same. I learnt that as with all animal products, dairy raises the level of acidity in the body. A prime cause of cancers the replacement of the respiration of oxygen in normal body cells by a fermentation of sugar. Therefore all sweet foods, especially those containing white sugar should be avoided. Fats from animals contain an acid which transforms in the body into a substance which stimulates cell growth, and therefore can encourage the growth of cancer. There is also a lot of oestrogen in dairy products, because cows lactate for abnormally long periods, and they are pumped full of hormones. Not all breast cancers are oestrogen-dependant, but mine was. I realised that here was something I could do to help myself, and cut all dairy out of my diet immediately. People say, ’How can you do that?’, but it’s easy when you know that it’s feeding what’s growing inside you. I also cut out alcohol, all tea and coffee, sugar, salt, and preservatives, which meant no pre-prepared or junk food, I started cooking everything fresh, and buying as much organic produce as I could. I tried juicing for the first time and still do it two or three times a day. I stir-fry vegetables and even do baked fennel on the barbecue. Friends are always surprised at the range of vegetables we produce when they come round. As my children have different out-of-school activities, lose tofu and soya mince and prepare things, like lasagne and shepherd’s pie, that can be eaten in shifts. With five children, aged between nine and 16, and my husband Keith to feed as well, it has been difficult. I do cook meat for my boys, but will still put vegetarian options on the table. If I’d started all this when they were a lot younger it would be natural for them, but it’s especially difficult for the teenagers who want to fit in with their peer group. I try to teach them by example. They can see what I’m eating and that I’m healthy now; whereas I was very poorly before. My 14-year-old daughter wants to be a chef and she tries to follow a vegan diet most of the time. We both love following recipes from Healing Foods and More Healing Foods by Bristol’s head chef and dietary adviser, Jane Sen, and also Liz Cook’s So What Do You Eat? I’m addicted to broccoli now because Jane’s recipe for orange blasted broccoli is gorgeous! I stuck to my diet and my decision not to have medical treatment, but when a scan three months later showed that the tumours were still growing (as they had been big anyway) I decided that it wasn’t fair on my husband and five children, so I had the chemotherapy. My surgeon told me my cancer was grade 111, and that I would have to have a mastectomy at the end of the chemotherapy no matter what...but nine months after starting the vegan diet (and after six months of chemotherapy) I had the most phenomenal response. My surgeon couldn’t believe that one of the tumours in my breast had completely disappeared, and the bigger one had shrunk to just a few millimetres. The one in the lymph nodes was down to a speck, sol didn’t have to have the mastectomy after all. In January 2003 they removed quite a lot of breast tissue, followed by five weeks of radiotherapy. I go for an annual mammogram, but other than just before then I don’t think about cancer any more. I don’t harp on about it. I’ve had cancer and I’ve moved on. I can’t say I’ll never have it again but if I do I’ll deal with it. I think Bristol is fantastic, and the people there definitely played a big part in my recovery. They have the expertise and knowledge to give you the information you require, without advocating one course of action or another. See "The Tree of Life" by Chris Woollams for more details on maintaining an alkaline body. Robert Ross is 60 on July 8 2004 and will celebrate that, and the previous six birthdays he was told he’d never see, by taking his wife, Mary, on a cruise down the Nile. Robert was diagnosed with adenoid cystic cancer of the mouth in March 1996. An 11-hour operation, to remove half his tongue and part of his jaw, was followed by four other operations in a seven-week stay in hospital before being given the all-clear. To keep himself amused Robert wrote his first play, a comedy, for his local drama society. He regained his speech and resumed his career (student counsellor), but just six months later a routine chest X-ray "showed trouble". Follow-up scans revealed secondaries In his liver and both lungs, and in January 1997 he was told "there is nothing more we can do". Robert was given 12 months to live. "I’ve always been suspicious of authority and somewhat unorthodox in my ways, so when I was given this dire news I wondered what I could do to battle against the cancer Purely by chance I’d seen a TV programme about the Bristol Cancer Help Centre, before I was diagnosed, I also happened to know that laughter was one way of stimulating the immune system so Mary and I decided to visit Bristol. Two more follow-up days, over the next year, made me feel that I could learn to do the Bristol Approach here in Oxford. Top of their list is having projects in life’, something to aim for, so I decided to publish my book, "Counselling as a Career," myself. The year 1997 was truly remarkable. It started with terrible news but I prayed (faint-hearted Methodist variety) for courage and enlightenment. My first two plays were performed locally, my book was published, in June, to excellent reviews, and I have since written four more plays and even appeared on TV on Kilroy and Richard and Judy. I was aware that cancer progresses at different rates in people so I thought I might be able to slow it down. Complementary therapies at Bristol, who do not offer a cure, include nutrition, exercise, meditation, visualisation, counselling and healing. We were encouraged to live life positively, one day at a time. I was initially very sceptical about healing, but in my very first session I created a powerful visualisation which helped to see their approach. I was walking through woodland and I came to a glade, where a wise old woman gave me a key. I retraced my steps and came to a three-way fork. I chose the one with a door to unlock, and walked up and up until I came out of the woods and saw the other two paths below me; one of which led to a graveyard. My path led to blue skies and a peaceful environment. This was my way of asserting that I was taking the healthy route and was perhaps going to be OK.
To some degree I have practised all these therapies ever since. I have taken up two new sports, badminton and bowls, and also go to a gym. Counselling has proved valuable for all kinds of things. At first I went fortnightly, tailing off to occasional appointments. My counsellor helped me do some powerful work on my relationship with my father who died of lung disease, aged 54, when I was only 13. It became a passion of mine to outlive him. In October 2000, a scan of my liver showed no change, which immediately prompted my orthodox advisors to say, ’Oh, it can’t be cancer’. I remain sceptical, but either way it was excellent news and gave me renewed confidence. But in January 2003 a new tumour was diagnosed in the base of my skull, and I was offered radiotherapy. I consulted Dr Rosy Daniel, the doctor I initially saw in Bristol, and she recommended vitamin C infusion at the Dove Clinic, near Winchester, I took their three-week course and my next scan showed virtually no change. Scans in January and May 2004 have shown very slight growth and so l am saving radiotherapy for a later date. I can only ever have it once in that location. I am acutely aware that every day I live is a bonus. What I have tried to do, with Bristol’s help, is to lead an anti-cancer lifestyle for as long as I live, but it’s not all that serious. I like to look at the lighter side of life and have discovered that the brain has difficulty in distinguishing between genuine and enforced smiles. Anyone seeing me walk my dog through the woods would think I was an idiot, as my sequence of 300 smiles gets my brain to send out all those healthy endorphins. I call it my smile therapy. I have another ’special project in life to look forward to this month, after my birthday and that’s to give my daughter away in holy matrimony on July10 2004. And yes, I’ll be smiling then for real." Nicky Jones was first diagnosed with breast cancer, 10 years ago, she beat it with chemotherapy and radiotherapy. She couldn’t wait to get back to the "normality" of her career in advertising, and hectic and - as she realises now - "unfulfilling" lifestyle. Six years later she was told that the cancer had returned, this time with local metastases in the lymph nodes. Nicky had heard of the Bristol Cancer Help Centre when she first had cancer, but hadn’t given complementary therapies a thought. This time she picked up a copy of "The Bristol Approach to Living with Cancer" in a book shop and read it from cover to cover. The first time it was a case of not actively wanting to get involved in helping myself, but the second time around I felt devastated to be diagnosed with this disease once again. It really was no laughing matter I knew I wanted to do something, but wasn’t sure what until I read Dr Rosy Daniel’s book. It was so positive and motivational that I knew I really wanted to go to Bristol. Their two-day introductory course was a revelation to me because I had no real understanding of nutrition, relaxation and finding time for myself, or any of the techniques I now know much more about. I was with like-minded people there and learnt that, as well as getting the treatment I needed in a conventional hospital, there was so much I could do to help myself that was proven; as opposed to being ’cranky and weird’. There was a lot of common sense guidance on eating well, rather than on the processed, fatty, meat-based food and dairy that I’d been used to. Instead of getting something to chuck in the microwave, while I slumped in front of the TV with a glass of wine in my hand, I started to cook properly with my husband Paul. I ate more fruit and vegetables, and cut right back on alcohol. Within a few weeks I’d lost some weight, had more energy and minor health problems, like acne and PMS, cleared up completely. I had a rigorous course of chemo, surgery and radiotherapy to face this time, but t felt more supported. I was told my hair would definitely come out, but I think being better nourished helped me get through the chemo because although my hair thinned, I didn’t lose it altogether like the first time. I went back to Bristol, to do the five-day course, about six months later It was a wonderful time, where I could do what I wanted. It gave me a chance to be pampered and a bit selfish, which none of us really do because we’re always rushing around meeting other’s needs before eventually getting to us. I found the group support so helpful. It was nice to be with other people on a similar level, in terms of cancer and in finding out about new options. We supported each other and it was very relaxed. I liked the sessions on guided imagery and meditation, and I practise reiki daily now too. I don’t think there was anything that wasn’t helpful, but the key thing it gave me was the realisation that I should prioritise my life differently. I don’t think it’s bad now to put myself at the top of my things-to-do list, and I don’t always fall in with what other people want like I used to. I own my own advertising agency, but am also in the third year of a degree course in Counselling, so I’ve started taking one day out a week to do all my college-related stuff. I used to leave for work at 7am and not get back until 7pm, but now I start work between 9-9.3Oam and I’m usually home by 6pm. Two years ago I got bone secondaries, but it’s stable at the moment. It all comes down to the Bristol Approach of how to live well with, and despite, the cancer and that’s what I feel I’m doing. I have made changes for the better and, if you take cancer out of the equation, my life has been a lot happier, more satisfying and enriched since discovering Bristol." The centre was founded in 1980 by the late Penny Brohn and her friend Pat Pilkington to support people living with cancer and those close to them. It is the UK’s leading holistic cancer charity and pioneered the world famous Bristol Approach to cancer care. Based on the science of Psycho-neuro-immunology (PNI) this approach uses a combination of complementary therapies and self-help techniques to provide physical, emotional and spiritual support to people with cancer and their families. The Bristol Approach works hand in hand with conventional medical treatment, and has been developed by the charity’s experienced multidisciplinary team of doctors, nurses and complementary therapists. The charity also works to integrate a holistic approach into mainstream cancer services, and trains more than 500 health professionals and complementary therapists a year in using the Bristol Approach to support people with cancer. For more information and support, contact the Bristol Cancer Help Centre National Telephone Helpline on 0845 123 2310.